They weren’t physical giants, but they were giants in his mind. “Everyone assembled here will know that the LORD rescues his people, but not with sword and spear. This is the LORD’s battle, and he will give you to us!” (1 Samuel 17:47 NLT). Before David faced Goliath in 1 Samuel, he actually had to fight four other giants. They weren’t physical giants, but they were giants in his mind. You are far more likely to have to face those giants than a Goliath, but they can be just as big and intimidating—and they can keep you from becoming who God wants you to be and fulfilling the dream that God has put in your heart. The first giant in facing your dream is delay. No dream is fulfilled instantly. God gives you the dream on one day, but he doesn’t fulfill it the next day. It may be years before you see the fulfillment of your life dream. There is always a waiting period. In David’s case, his dad held him back from the dream. After Samuel anointed David as king, Jesse told David to get back to tending the sheep! When God’s plan contradicts somebody else’s plan, there’s going to be a delay, and people are going to try to hold you back—sometimes even the people who love you the most. 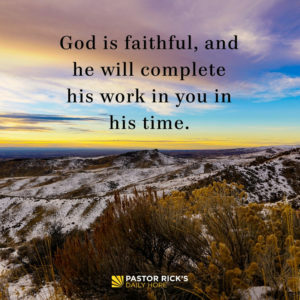 But God is faithful, and he will complete his work in you in his time. The second giant you may face is discouragement. Goliath created a climate of fear in Israel, and everybody was convinced they were going to lose the battle. What people are you listening to that say it can’t be done? Who is putting down your dream, saying it won’t ever happen? The third giant standing in your way is disapproval. 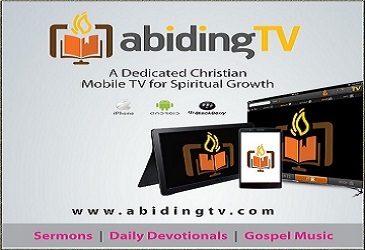 In David’s case, his own brother questioned his motives and disapproved of him going after Goliath. When God gives you a dream that other people are afraid of and you go for it anyway, you will be misjudged, maligned, and misunderstood. You have to decide what matters more to you: the approval of other people or the approval of God. The fourth giant you may have to face is doubt. Nobody was a greater expert on war than King Saul, and he told David he was crazy for thinking a boy could fight a warrior like Goliath. Maybe the expert is saying you can’t do it, either. That’s enough to make you start doubting yourself. When I wrote The Purpose Driven Life, I got a letter from the editor (which I later framed) that said, “This book will never work. Nobody’s going to read 40 chapters.” The experts are often wrong. What have you learned about yourself and God when a dream has been delayed? Whose voices of discouragement have kept you down? Whose voices do you need to listen to instead? Which of God’s promises from his Word can you use for encouragement when you start to doubt yourself or your dream?